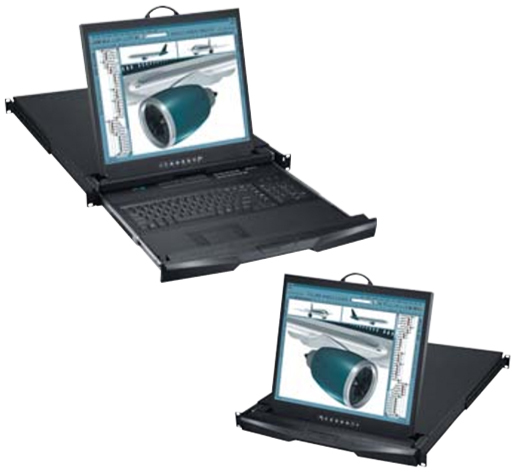 The D117 is a 1U Dual Slide Rackmount LCD Monitor with 17" LCD. 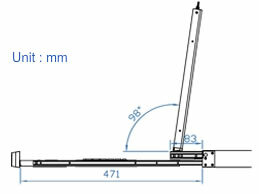 The keyboard is a 104 key notepad keyboard with touchpad mouse and includes 1 6ft combo 4-in-1 KVM cable. The Dual Slide technology allows the LCD to be left up/open when the rack door is closed. Single Console 1.73 x 17.4 x 25.6 in. Console w/ KVM 1.73 x 17.4 x 25.6 in. Console w/ KVM 5.5 x 23.4 x 33.9 in.